Practicing for a performance in the courtyard of Kolkata Sanved. 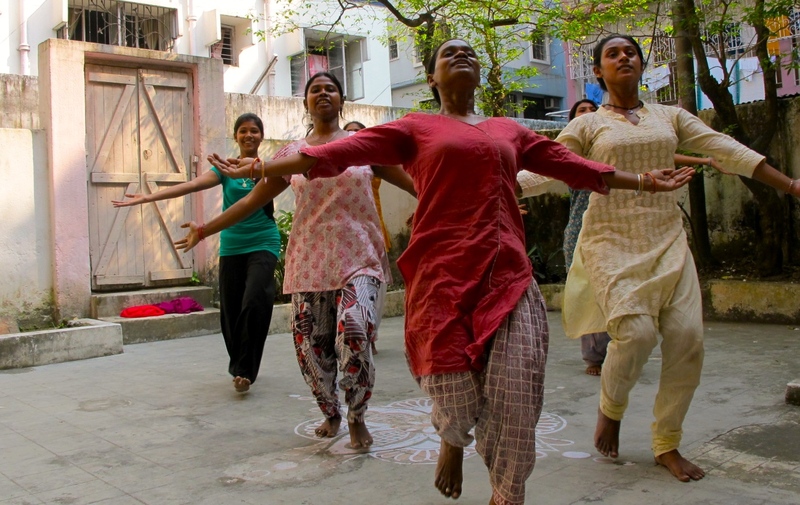 On a bright December afternoon in Kolkata, I watched a handful of young women throw their arms in the air, swirl the scarves of their salwar kameez and leap from one end of the courtyard to the other. They danced their cares away. Literally. The women had all been forced into prostitution or into abusive relationships. Dance was their therapy. For some, it was their only joy in life. 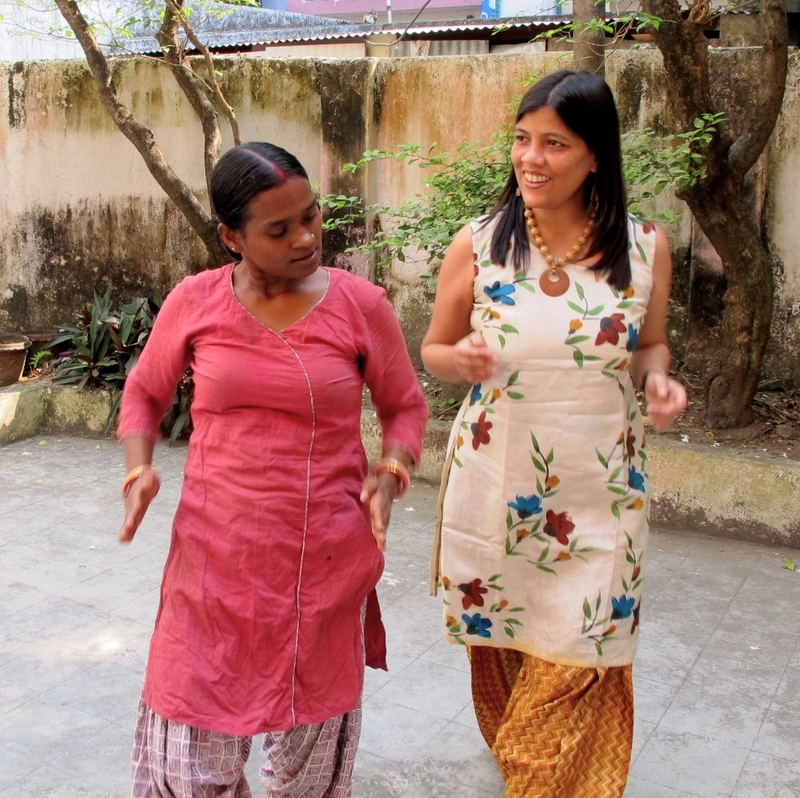 Sohini goes over steps with a star dancer who was abducted as a girl and forced into prostitution. I spent many hours with the women and girls at Kolkata Sanved. It was amazing how uplifting it was to watch them come alive through music and movement. I even danced with them on my last day. Today, on International Women’s Day, I salute Sohini, her staff and all the women who have rediscovered themselves through Kolkata Sanved. 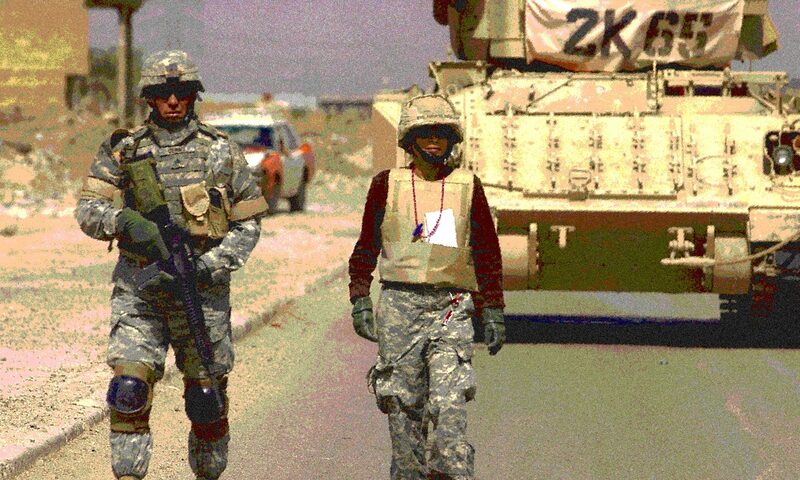 And all the other brave women I have met through the years on my travels around the world. We have a long way to go. But we have also come a long way. Read more about Kolkata Sanved. Previous PostPrevious Hindus to NYC: Why Eid, but not Diwali?